Adelante Alabama activists outside Sixteenth Street Baptist Church, Birmingham, Ala.
An Alabama-based immigrant advocacy group is urging the city of Birmingham to declare itself a sanctuary city. 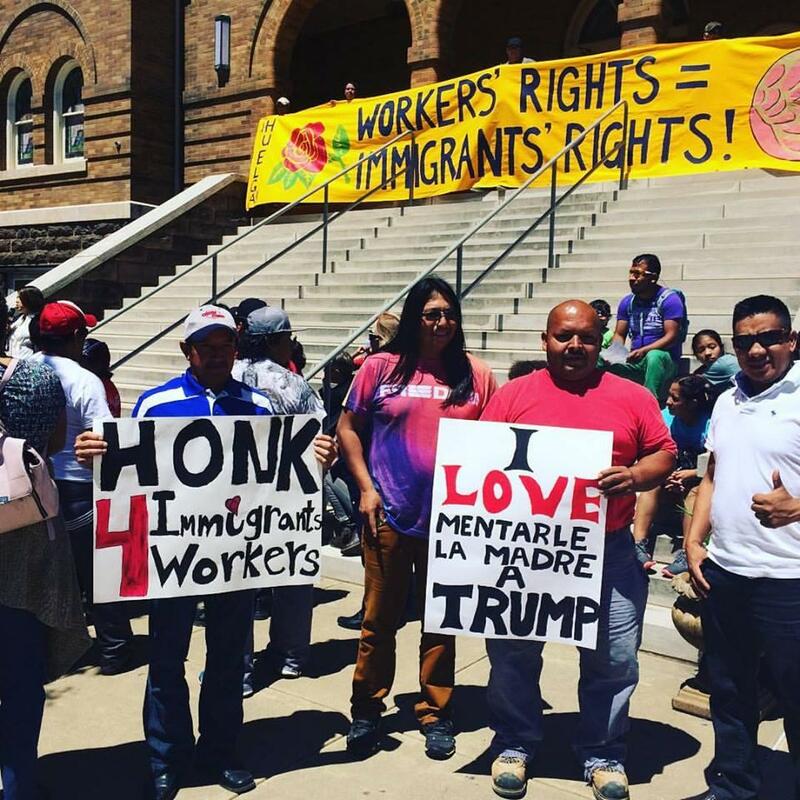 The director of the Adelante Alabama Worker Center, Jessica Vosburgh, says that declaration would provide protection to undocumented immigrants in the city and state, and would ensure that Birmingham police officers aren’t working as extensions of federal immigration enforcement. Al.com reports Adelante Alabama has submitted an ordinance to the Birmingham City Council that they say does not violate any state and federal laws, and extends only a “bare minimum” of protections for immigrants. Birmingham City Council President Johnathan Austin says that ordinance will be submitted to the city’s legal department for review. Afterwards, it will face committee review before potentially coming to a vote before the council. The Beason-Hammon Alabama Taxpayer and Citizen Protection Act, otherwise known as House Bill 56, is a state law passed in 2011 that prohibits Alabama cities from implementing policies contrary to federal immigration law. Violating that law could bring civil and criminal cities, and result in a loss of state and federal funding.